Contact Turkish Airlines on their UK customer service phone number 0207 471 6666 for check-in support, to book your plane tickets, to confirm your flight status and for delay complaints. Turkish Airlines can be contacted on their UK phone number 0207 471 6666 for bookings, schedule enquiries and for technical support when using their online check-in service. You should also dial this number to amend your existing ticket details, for instance if you wish to sit in a different seat or your name has been spelled incorrectly. Similarly if you have made a group booking you may phone this number to change passenger details if someone is unable to travel on the specified dates of your booking. If you are travelling for a special occasion you can dial this number to upgrade from economy to their luxurious business class which entitles you to use of their exclusive lounge, comfortable reclining seats, advanced catering options and large entertainment screens. Moreover if you are a member of the Turkish Airlines Miles&Smiles loyalty scheme you can phone this customer care office to book a flight using your accrued air miles instead of a monetary payment. Furthermore if points from a previous flight have not been added to your Miles&Smiles account you should call this help-desk to notify the airline so you may use these miles in the future. Corporate customers should call this helpline to make outstanding payments towards their account, to upgrade their contract to allow for more flights if your business is expanding and to notify them of a change in your business such as different premises. The Turkish Airlines customer service office is open from 9am-5:30pm Monday-Friday although closures may be in effect during UK and Turkish public holidays. Calls are charged at standard rates which means you will be able to phone Turkish Airlines for free if you have inclusive minutes on your tariff, otherwise you will pay a connection fee alongside a per-minute rate to your landline or mobile network provider. Please note that if you wish to book a Turkish Airlines flight from a UK airport other than London Heathrow you should either use their online bookings service or phone your local airport using the appropriate telephone number from the table provided below. Passengers can contact Turkish Airlines from overseas by calling their international telephone number +44207 471 6666 to notify them of medical emergencies as well as missing documents such as passports and boarding passes. Their customer service staff will then provide support by amending your booking as required and by informing you of your nearest consular service if you need embassy advice. However please note that it is advisable to get travel insurance before flying as the airline may not be legally required to absorb the cost of any amendments to your booking. Furthermore be aware that unless you have a mobile roaming package you will be charged more for making international calls compared with normal UK-only calls and that the exact costs are dependent on which nation you are calling from. Phone the Turkish Airlines cargo office on their Staines contact number 01784 421 717 to add items to a freight booking, to get their latest transportation rates and to amend existing orders. Please submit accurate information when making a freight booking otherwise it may be voided by incorrect weight details, which would impact on their fuel costs. You should also call this helpline to update your contract details if your company now ships different types of cargo or has been taken under new management. Finally please call this helpline for the latest Turkish Airlines policies on the transportation of dangerous or restricted goods. UK passengers can contact Turkish Airlines by writing letters to their choice of airport, alternatively if you prefer the convenience of email you can also use their range of online addresses to correspond with their customer service team. Recently they have also added messaging functions to some of their social media accounts meaning you can discuss your general enquiries as well as view their last-minute price deals on flights. Please consult the list below if you wish to write a letter to your local Turkish Airlines office with feedback about a previous flight as well as general enquiries about their Miles&Smiles loyalty scheme or corporate accounts. Turkish Airlines, Lyric House, 149 Hammersmith Road, London, W14 OQL, United Kingdom. Turkish Airlines, First Floor Room DH125B, Diamond House, Birmingham International Airport, B26 3QJ, United Kingdom. 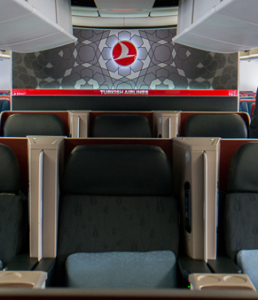 Turkish Airlines, Room: 12-14 Level 5, Terminal 1, Manchester Airport, M90 3AL, United Kingdom. Turkish Airlines, 3/79 Second Floor, Terminal Building, Edinburgh Airport, Edinburgh, EH12 9DN, United Kingdom. Turkish Airlines can also be contacted through their range of email addresses which are provided below, do not include any payment information with regards to flight bookings in case your correspondence is intercepted by criminals. Turkish Airlines have a number of English-language accounts on social media websites where they list their last-minute promotional deals on cheap flights to save you money. Some of these profiles have messaging functions where you can ask for customer service advice about your flight booking.